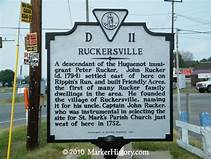 Ruckersville, especially near the intersection of US 29 and Route 33, is one of Greene County’s designated development areas. The northwest corner of Ruckersville has developed with Walmart and Lowes. The newly redeveloped Market by Tiger Fuel opened its doors late last year on the Southeast corner. Last night (12/11) the Greene County Board of Supervisors heard a rezoning request that could eventually add residential uses and lead to a solution to efficient access to the northeast corner of Ruckersville. For over a decade, Frank Eways has tried to develop a Planned Unit Development (PUD) on his property on Moore Road off Route 33 East with no success. 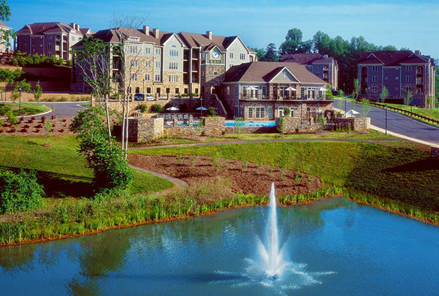 So he has now partnered with Denstock, LLC from Charlottesville to develop an apartment complex on the property. Planning Director Jim Frydl presented the rezoning request. The Rapidan Service Authority (RSA) would provide water and sewer to the site. The Virginia Department of Transportation (VDOT) traffic impact study for the apartment project indicated the traffic created by the apartment use is close to the traffic predicted by the existing PUD. The school impact data indicated these apartments would have less impact than other development types. The average number of students per Single Family Home is .56 students/house, a Multi-Family Unit – townhouse/condo – normally is .32 students/unit. However, Terrace Greene apartments in Greene County near the Albemarle County line have produced .14 students/unit. In addition, Terrace Greene low vacancy rate indicates a strong demand for high end apartments. Denstock’s plan is to develop the Eways property and hopes that the county will approve a connector road to US 29 at the intersection where the road from Lowes intersects US 29. The connector road is not part of the rezoning application however it is on the agenda for the Planning Commission next week as a Special Use Permit. LaCour addressed the markets the project is trying to serve – millennials and baby boomers – both with disposable income and without families. In broad strokes she described millennials as mobile and not wanting to be tied down to owning a property. She also indicated Baby boomers don’t want the maintenance that comes with ownership. They want to be able to travel for weeks at a time without worrying about mowing the yard. In the public hearing portion of the meeting three citizens spoke about Moore Road being a rural road. Supervisors Chair Michelle Flynn pointed out that the area being considered is not zoned agricultural but is being considered to rezone from PUD to R-2, Residential with basically the same density. She also highlighted that the demand for this project is confirmed by Terrace Greene being full. Supervisor Bill Martin indicated this property is in an area that is planned to grow but that the existing PUD zoning has not been successful. The presentation clearly demonstrates there is a demand which is supported by Terrace Greene’s success. He also appreciated the explanation of the connection to US 29 – although it was not part of the rezoning being requested – it demonstrates a long term solution to getting traffic onto US 29. Supervisor Marie Durrer clearly stated that she was against the rezoning request prior to the meeting but, now understanding that the plan is to eventually connect to US 29 where the Lowes intersection is located, has changed her mind. Supervisor David Cox also agreed that the connector road was a major factor in his supporting the rezone request. Although the connector road will be addressed as a Special Use Permit and is not part of the rezoning application, the applicant clearly stated that the connector road is a critical piece to the success of this development. With that, the Supervisors unanimously approved the rezoning request. Very good summary of the meeting of 12/11/18, Mr. Wilson. Thanks.